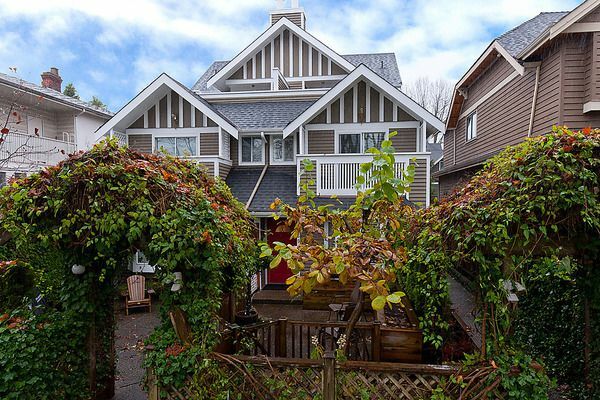 Extensively renovated townhouse in the heart of Kitsilano. One of 3 units in the development - South facing, 3 level home with over 1400 sq. ft, 3 bedrooms and 2 ? baths. Newer kitchen with Maple cabinetry, granite counters and SSappliances. Spacious master bedroom with deck and 3rd bedroom with large south facing sundeck on the top floor. Recent improvements include a cozy "Valor" gas fireplace, crown mouldings gas hot water radiant heat and hot water tank. Great location close to 4th Avenue & west Broadway shops & restaurants.